Without question, it is the project manager's responsibility to create an environment that will enable project control to be exercised. This means the project manager will seek counsel, accept sound advice, and stretch cost/schedule personnel to the extent of their capability. 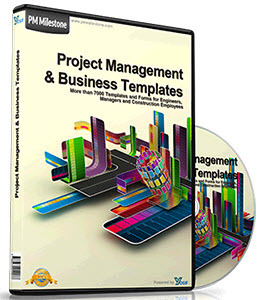 On smaller projects, where the project manager is also the project control engineer, it is essential that the project manager develop project control skills and/or motivate the supporting/ service groups to provide the basic information that is needed for creative analysis and effective decision making. Effective project control requires the timely evaluation of potential cost and schedule hazards and the presentation of recommended solutions to project management. This means that the cost/schedule specialist must be a skilled technician and also able to effectively communicate to management level. Sometimes, a skilled technician's performance is not adequate because he or she is a poor communicator. Technical expertise will rarely compensate for lack of communication skills. As in all staff functions, the ability to "sell" a service can be as important as the ability to perform the service. On larger projects, project teams are usually brought together from a variety of "melting pots," and the difficulty of establishing effective and appropriate communications at all levels should be underestimated. In this regard, the project manager is responsible for quickly establishing a positive working environment where the separate functions of design, procurement, construction, and project control are welded into a unified, cost-conscious group. Project managers who relegate the project control function to a reporting or accounting function are derelict in their duties. 3) Provides constant surveillance of project conditions to effectively and economically create a "no-surprise" condition, apart from "force majeure" situations. 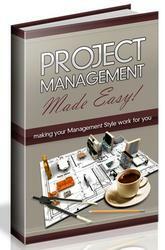 All project control programs must live up to their own principles and be Cost Effective. Many large and "sophisticated" and contractors over-control and over-report. There is always the tendency, and this is a feature of the petrochemical industry, to add additional levels of control, reporting and personnel as projects get larger or more complex. 'Wore " does not necessarily translate to "better." Project managers must carefully review their company program, project needs and eliminate all "over-control" and "over-reporting." The first important step is to ensure that the decisionmakers make decisions on the basis of sound business practice. In most cases, the real decisionmakers are the project manager, the engineering manager(s), the procurement/contracts manager, and the construction manager. When these decisionsmakers are not motivated by the business ethic, then cost overruns and schedule delays are common. The second important step is that all information necessary for making good decisions be available at the right time and in the right place. All too often, the necessary information for analysis of options and alternatives is just not available or has not been developed. Much of this "information" is found in a firm technical scope of work, a quality estimate and a good schedule. When these items are not available, then decision-making may be flawed or ineffective. The early stage of a project is often the time when many significant business decisions have to be made and, therefore, "quality information" is vital at that time. This early stage is also the time when "firm" information may not be available, as technical options are being considered, execution plans and contract strategies being developed. Creative analysis and experienced judgment is, therefore, essential to "bridge" this gap that is sometimes referred to as "The Blackout Period." "The Blackout Period" is described in more detail in this chapter. It is also extremely important that personnel having the responsibility for technical scope, estimating and schedule development be good communicators as well as technical experts. It is the project manager's responsibility to actively promote "project consciousness" with all involved departments and key personnel, to ensure that the project team and/or service groups work to the "agreed" project objectives and execution plan, and also to properly coordinate and liaise with the client to establish a good interface for all decision-making/approval requirements. Limits of authority, lines of communication, degrees of responsibility and approval requirements must be clearly established in the Project Coordination Procedure. Personnel motivation and leadership skills are essential in developing "project consciousness" and effective communication channels. On intermediate/large projects, the project manager may utilize the services of departmental specialist(s) to provide project control services. On small projects, it is anticipated that the project manager will carry out some or all of the project control work. In either case, it is the responsibility of the project manager to ensure that the project is supported with appropriate cost/ scheduling methods. The following techniques are recommended for different size projects. The following techniques are additional to the previous listing and should be considered on a unique or supplementary basis. Reimbursable projects would require greater owner control than fixed-price projects. The detail and work breakdown structure of the estimate should be developed so as to provide, as much as is possible, a clearly identifiable financial base for controlling project costs and providing the information necessary for good business decisions.